Each time the sun moves into a new sign, make a To Do list that fits the sign and house the sun is transiting. During the Sun’s transit of Sagittarius, put these 12 things somewhere on your list. You can also focus on these things any time the Moon transits Sagittarius, especially at the New Moon in Sagittarius. And to make a good impression. . .always leave them with a laugh. Nobody tells jokes anymore. Most of us read our jokes in email, so we miss the timing, cadence, and the unique delivery of each comic. Rodney Dangerfield is one of the kings of the one-liners. His riffs on his wife and getting no respect are classic. I love Stephen Wright ~ his bizarre perceptions and his delivery. One of his jokes I love: I went camping with my girlfriend and she got poison ivy on her brain. The only way she could scratch it was to think about sandpaper. Who’s your favorite comedian? Tell me your favorite joke. 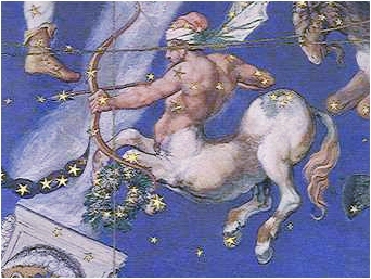 To read about Sagittarius’ perceptions on truth, take a look at my earlier post on the Full Moon in Sagittarius, The Truth is Out There. Next postFull Moon in Gemini ~ Facts or Faith? Rodney Dangerfield, born Nov 21, 1921! Are you a Sag, Mimi? Is that why you have such a happy face? I found Dangerfield’s birthdate listed as November 22nd (1921). Either way, Happy Dangerfield Day — let’s all get some respect! yes, I’m a new moon triple sag. Rather a serious one, but a sag for sure 🙂 I’m always quick to smile. Well, happy birthday in advance!! I think birthday celebrations should be at least a month long — a couple of weeks before, and a couple after.